2016 update! 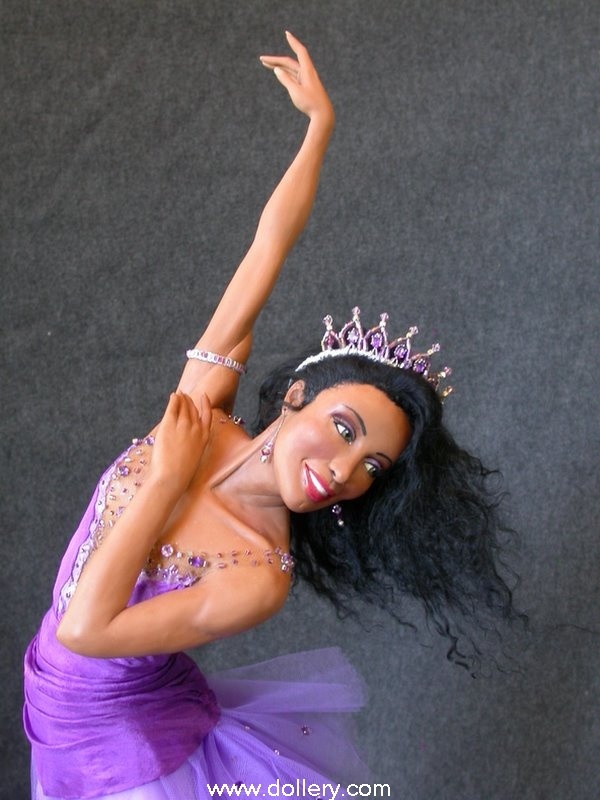 Currently, Vickie isn't really making new dolls unfortunately. This doesn't mean she won't do more in the future. 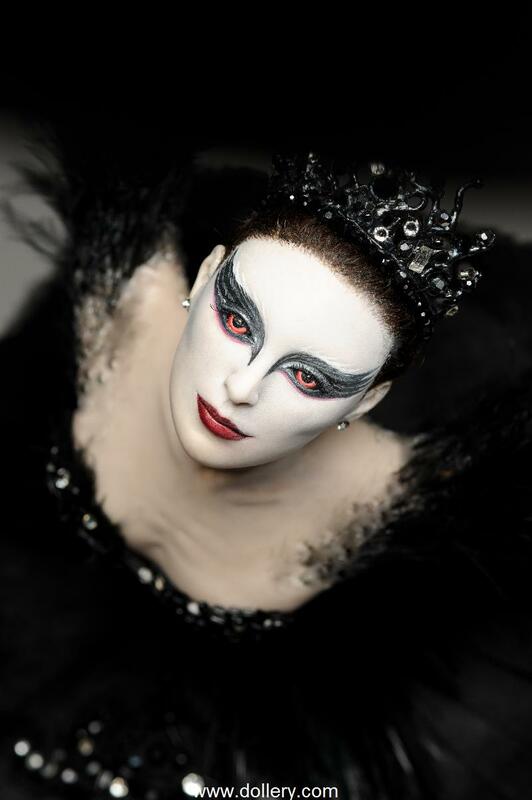 We were honored to get one of the dolls in her personal collection for our 2013 show in October. She is shown below. Although she isn't really working on new work at this time; anything new would be in the range of $3,500.00. 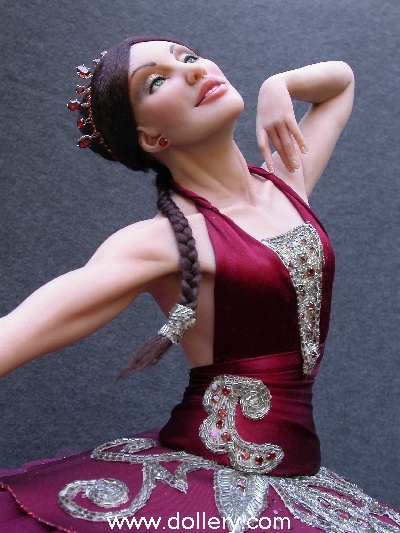 We have been honored to have Vicky personally attend many of our annual doll shows . Be sure to get on our mailing list for a free copy of our show catalogue with nore detailed bio info or email kmalone@dollery.com for further information on her work. Make sure to email kmalone@dollery.com to get on our Arentz mailing list for updates on her new work. If you are interested in any specific dolls shown here that are already sold please email kmalone@dollery.com for more info about special ordering custom work. In some cases this may be possible. For further bio info please email us your info so we can send you our most recent catalogue highlighting Vickie along w/another 40 artists. 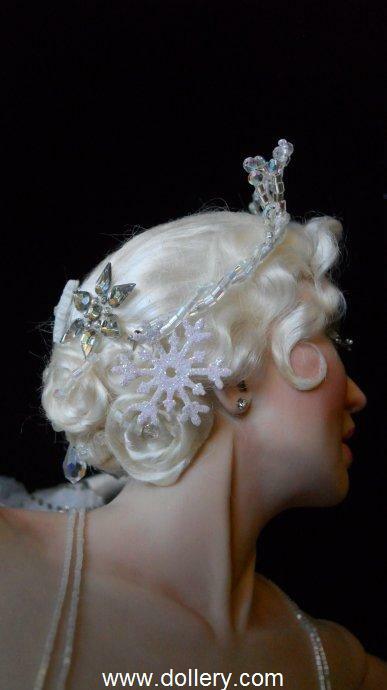 INTERESTED IN VICKIE'S WORK- DON'T MISS OUR 2ND MKT PAGE TO VIEW WORK NOW AVAILABLE THRU THE DOLLERY! 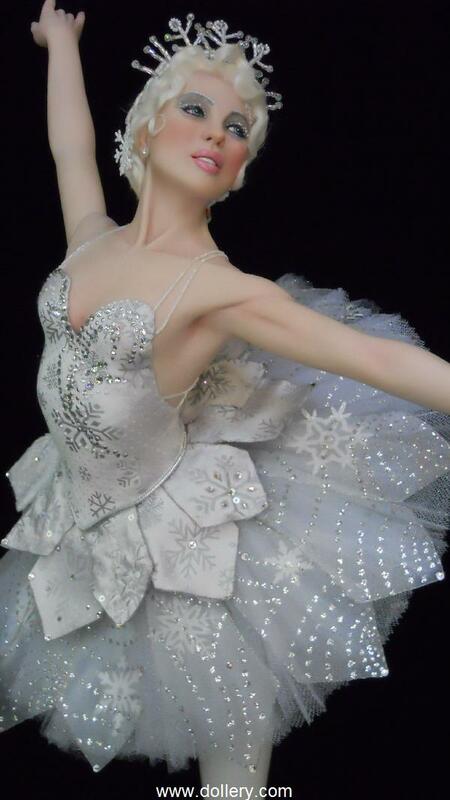 Email kmalone@dollery.com to be added to our mailing list for automatic updates on new and 2nd mkt work by Vickie. This piece is very special. Vickie isn't really doing any work right now and this is out of her personal collection! 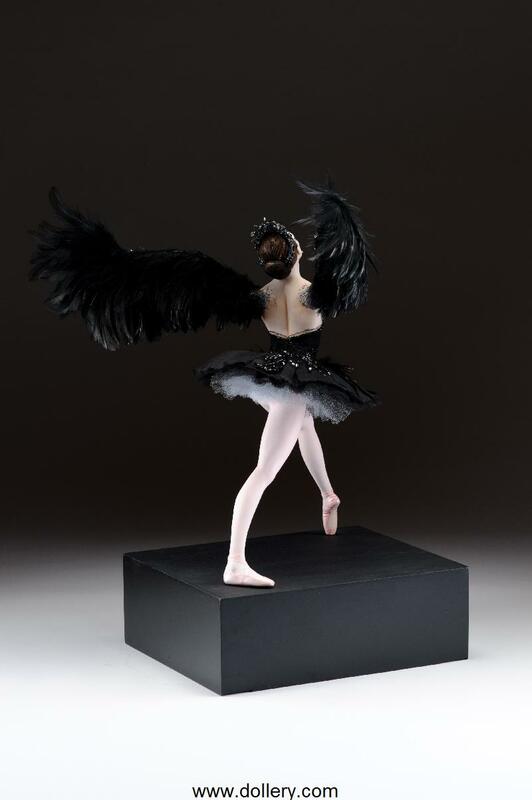 26" (66cm) tall which includes the 3" (7cm) black lacquer base she stands on. 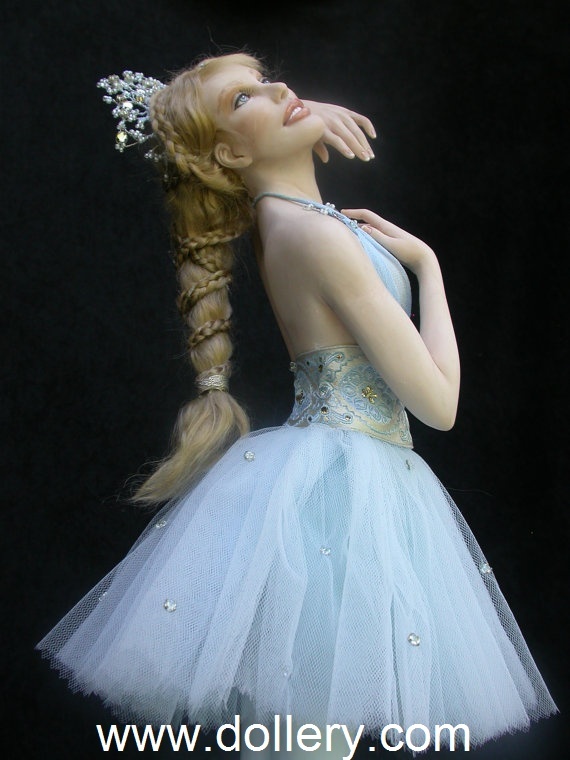 It's a 17" (43cm) tall figure on a 4" (10cm) tall base making the entire piece 21" (53cm) tall by 20" (51cm) wide. 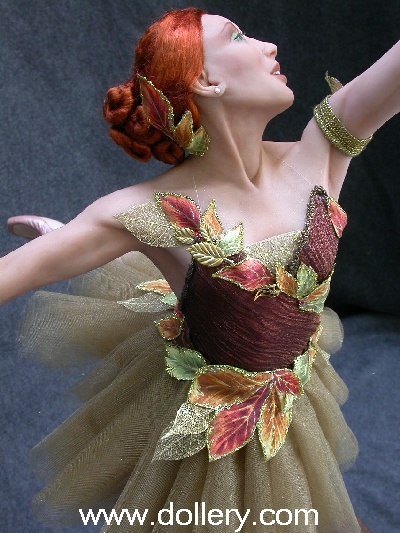 Polymer clay figure sculpted in one piece with detachable real feather wings. 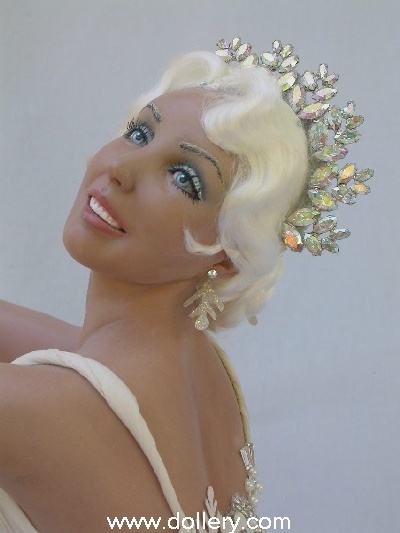 Hand painted eyes, viscous fiber wig, costume of leather, cotton voile and silk with hand beaded details and Swarovski crystals. 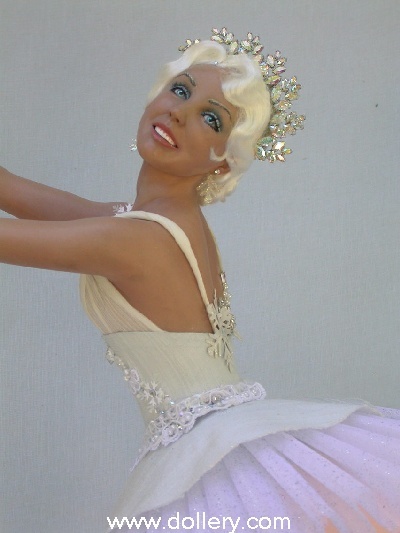 One-of-a-Kind, Polymer Clay Upper Body, Epoxy Clay Legs, Painted Eyes, Mohair Wig, Approx. 29”. *We just had to show you this example of her current work. Inquire. We are thrilled to show you our lastest custom order made by Vickie for one of our customers this summer. She is just outstanding. We haven’t had work from her for awhile as Vickie had dramatically reduced the number of pieces she could do a year and when we saw this one we remembered just how much we have missed her work! This piece can not be repeated of course as it was a one of a kind custom order. 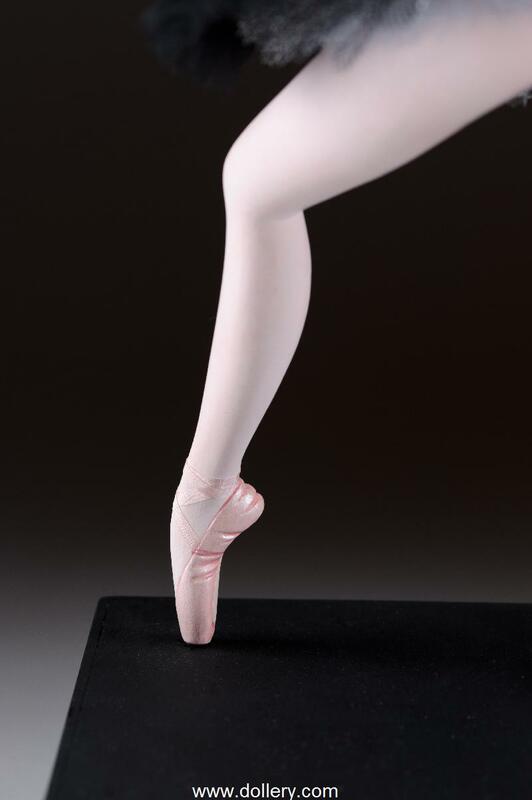 We are however accepting orders for other ballerinas now in the gemstone series or other themes. 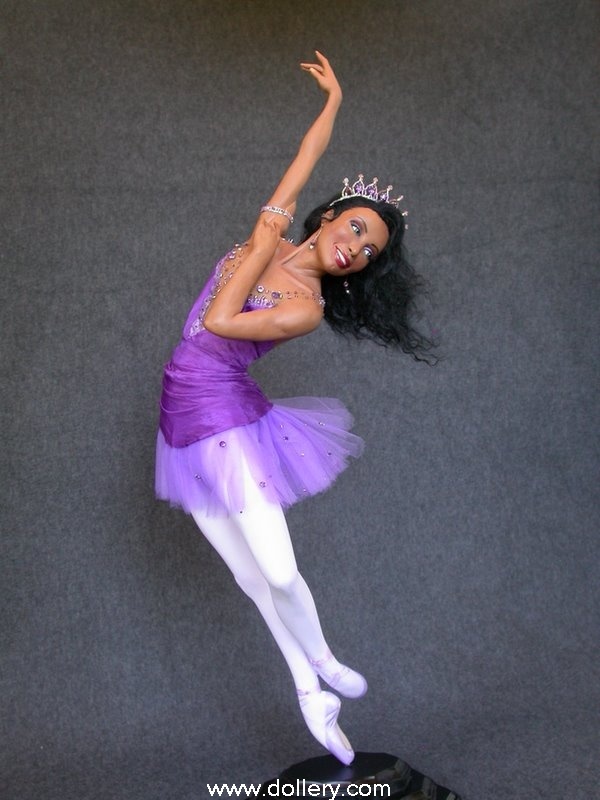 See below for "Amethyst" our African American Ballerina. Price range now starts at $3,500.00 now and up so Amethyst is a great deal. Amethyst, Show Priced: $2,075.00 - AVAILABLE - NEW CUSTOM PIECES RANGE $3,500.00 AND UP - GREAT BUY! Amethyst is dressed in amethyst colored silk & tulle. 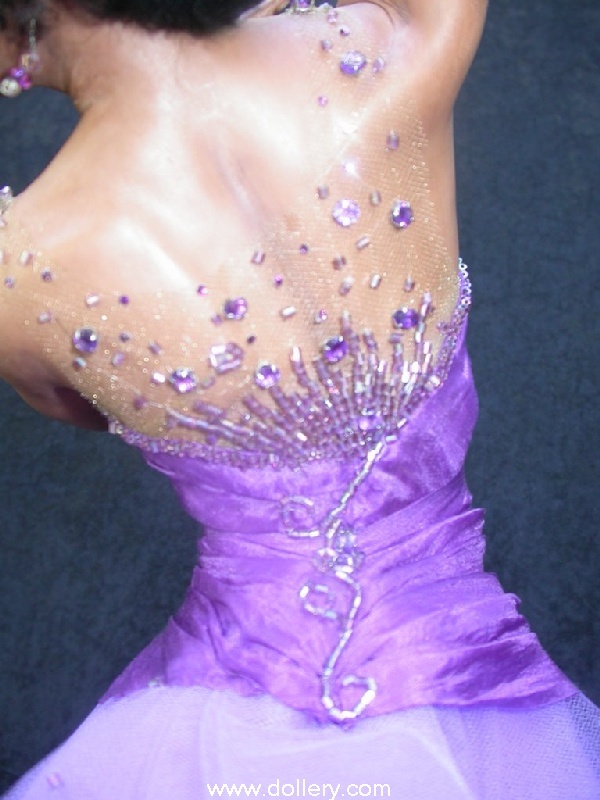 She is adorned with over 20 carats of real amethysts, cut crystal and delicate glass beads. She has fully sculpted legs & toe shoes. 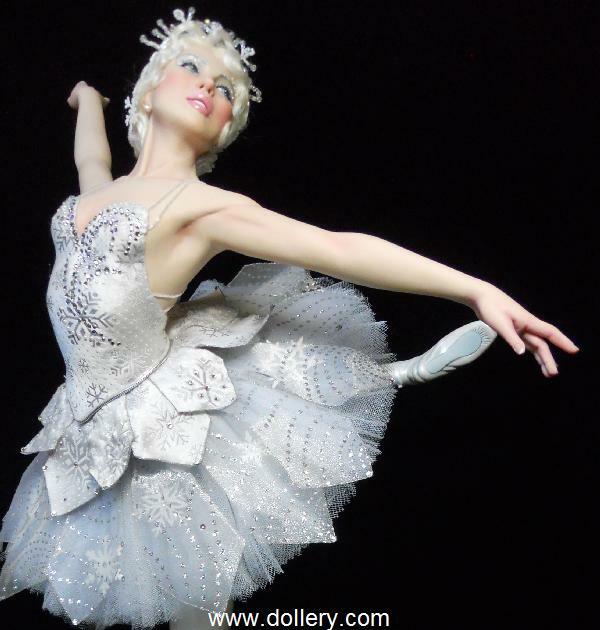 The hand painted ballet slippers have hand applied ribbons. 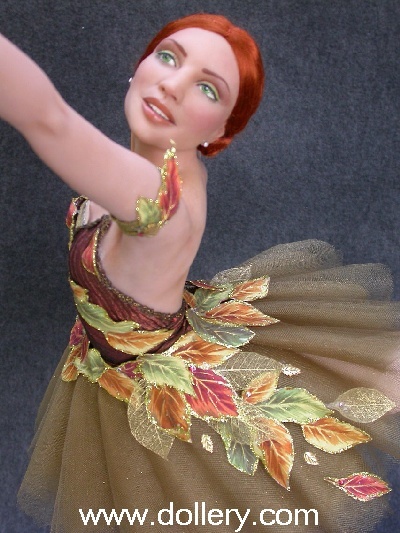 She is beautifully posed at an angle that gives the illusion of movement and the magic of dance. Her crystal & sterling silver earrings sway evoking movement as does her free flowing hair-style. The anatomy of the dancer is amazing. 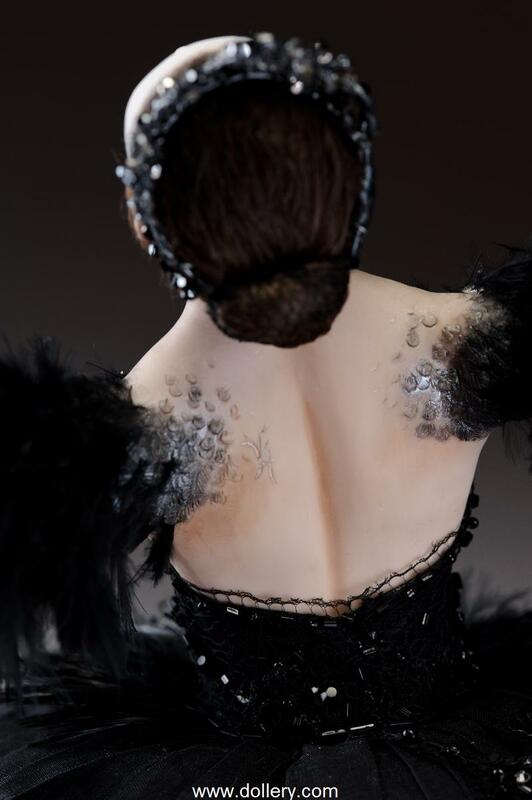 Her muscles move across her back. The tiara is handmade with real amethysts set in sterling silver w/cut crystal & sterling silver beads. Email kmalone@dollery.com for further details. 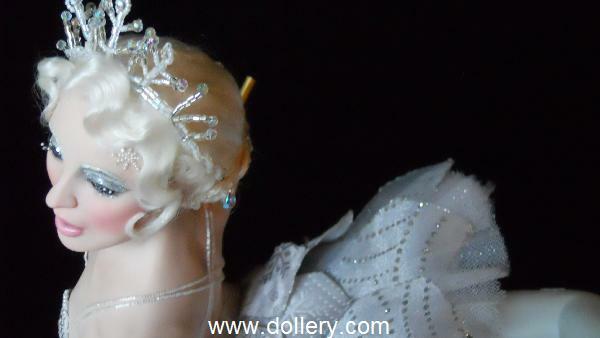 First in the new Dollery exclusive ,"Gem Stone" series. 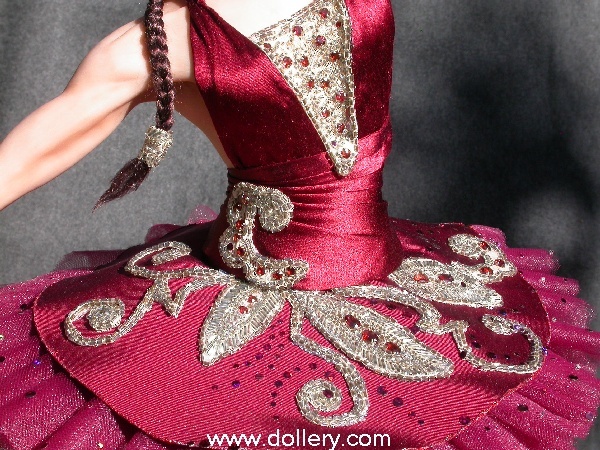 She wears a beautiful Garnet colored silk tutu adorned with over 25 ctw of real garnets. Her tiara is made of round & oval garnets in Sterling Silver settings. Future prices subject to change due to the cost of the various gem stones. 24" wide x 23" height, one of a kind, polymer clay upper body. Epoxy clay and premier air dry clay legs. 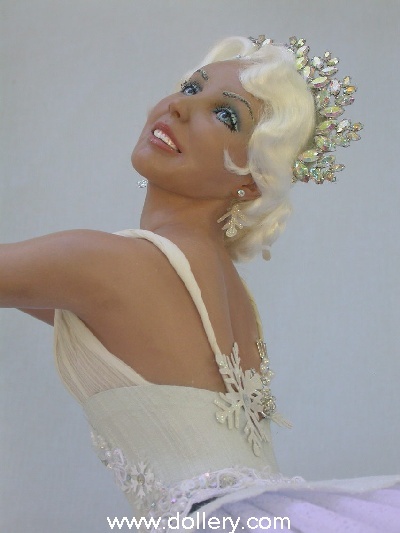 Vickie Arentz at our 2006 Doll Show! Polymer clay over Epoxy Clay, Green Glass Ball Eyes/Hand Painted with applied eye lashes. Auburn Mohair wig. 20" from raised arm to wood base. Polymer Clay over Epoxy Clay for strength. Hand Painted Green Eyes with applied eye lashes. Blonde Mohair. 24 Inches. 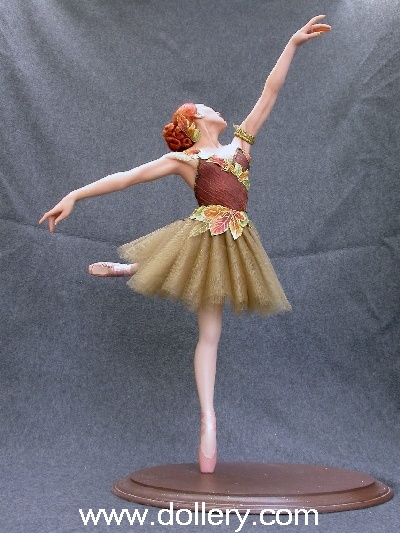 This beautiful piece is a fully sculpted two piece figure held together with a brass tube and rod construction. It is designed to pull apart at the waist for easier shipping. 10" seated. 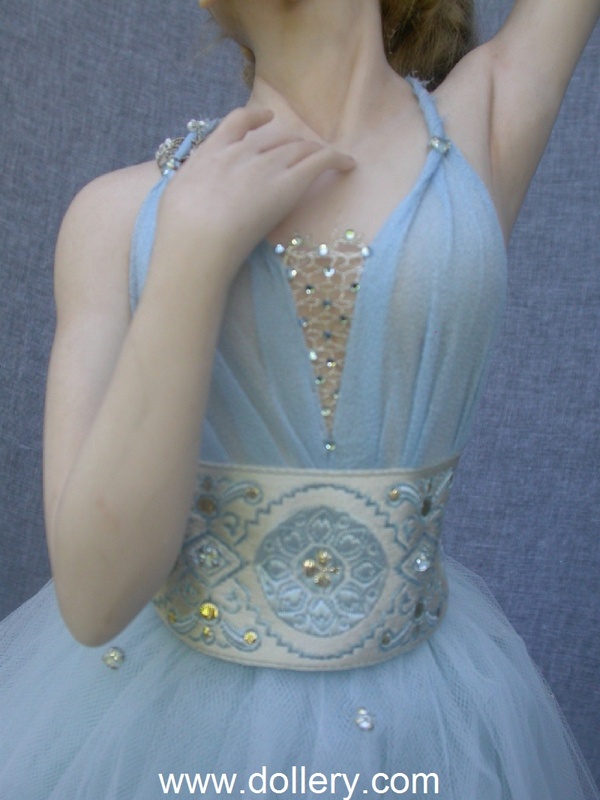 Her body length is 21"
Copyright The Dollery and can not be taken off this site without permission.